Do you struggle to find the “right” paint color? Have you ever selected a paint color you love only to find it doesn’t look right on your walls? Working directly with home and business owners, I make personal and professional spaces feel better and more natural. Using the revolutionary Color in Space™ methodology, together we’ll create a color palette that works harmoniously with your space. No more fretting over color decisions or wasting money on paint samples. Your color selections will be right the first time and are guaranteed to have lasting appeal. Let’s transform your space into one that you’ll love for years to come. I’m a Certified Color in Space™ Consultant and have trained with Emily Lauderback, the founder of Color in Space and nationally renowned color expert. I believe in the transformative power of color and love helping people increase their quality of life through better color choices. I’ve always had a knack for color. In a sense, it’s my superpower. When I meet new people, they pick up on this almost immediately and it’s led me down many paths — I’m a painter, graphic designer, web designer and finally, a color consultant for architectural spaces. Color inspires us at every turn. It affects our mood, energy levels and how we perceive the world. It’s my purpose to help others harness the power of color and create spaces that perfectly reflect their personalities, tastes and goals. A Color in Space™ Color Consultation follows a unique two-step process. It’s an organic, fluid process that calls forth the colors that are meant to be in your space and let your house sing. Together we’ll establish a selection of colors (anywhere from 2 to 20) that work well together and that speak to you. Next, I’ll help you determine where each color will be used in your space so you know exactly what to paint or how to instruct a painter. Color in Space™ is a specific methodology for working with color. It works in harmony with principles of nature, feng shui, and physics. How COLOR IN SPACE is different? Most color consultants assess color choices in isolation. I work with the relationship between colors. Most color consultants fail to consider lighting. Have you ever painted a room only to discover it looked completely different as the sun started setting? I’ll guarantee your space sings at every time of day. Most color consultants put too much emphasis on two-dimensional tools like paint chips and fan decks to assess color. I will honor the physical architecture of your home and use color to accentuate its unique features. The same calming and energizing feeling one gets from nature can be recreated in your home with the right color palette. I work with Benjamin Moore color collections because they offer a versatile and authentic selection of colors that are found in nature. For a number of reasons, Color in Space Color Consultants specify paint colors primarily with Benjamin Moore® tools and products. Sustainability: Benjamin Moore paints are available in “green” products. Ask about which paints are low-VOC or no-VOC. Quality: As Color Consultants, we need to recommend paints that will hold up and make our clients happy without fail. While Benjamin Moore paints are not the least expensive, we find that their reliability proves you get what you pay for. They are also easily accessible in most major cities across the United States and online. 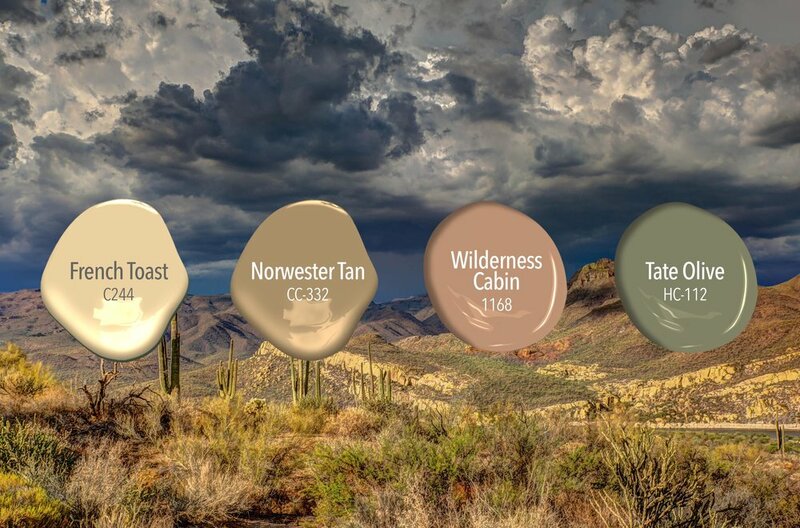 Color Choices: Benjamin Moore has the largest color selection available and supports their designers with fabulous tools. Benjamin Moore also has a fabulous variety of muted and saturated colors. This is what provides such incredible depth and a natural energy to many color designs. For more information about color theory and relationships, please visit colorinspace.com.